Please see this extract from the “History of Lancashire” concerning our “rather obscure village”! Most villagers are familiar with the entrance to Dunald Mill Hole, but how many of us know what lies within? You can now see for yourself with an online map of the cave on cavemaps.org! 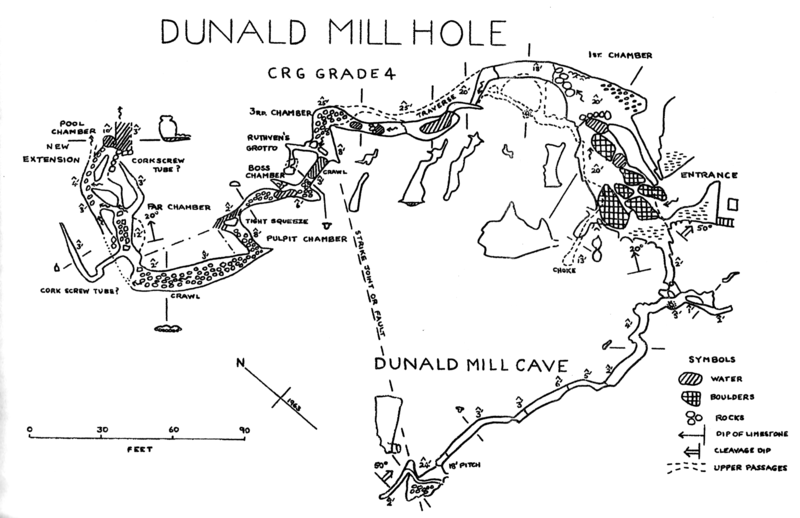 Click here to see the map of Dunald Mill Hole. We also love this engraving from c.1845, but compared to more recent photographs (below), we suspect some artistic licence may have been employed!